This tungsten wedding ring has a classic look. It is brushed and polished, it is 6MM wide, and looks great. 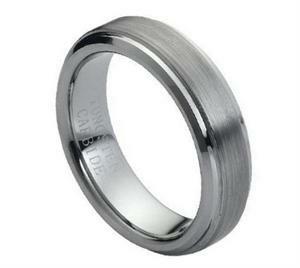 Our Tungsten Wedding rings are made from the highest quality materials and will not scratch. We also pride ourselves on having the discounted prices on Tungsten Wedding Rings.